Body butters and skincare in general are what always crosses my mind when I think of The Body Shop. I’d never tried their makeup before, but they’ve been stepping up their game recently and I’m more and more intrigued by it. 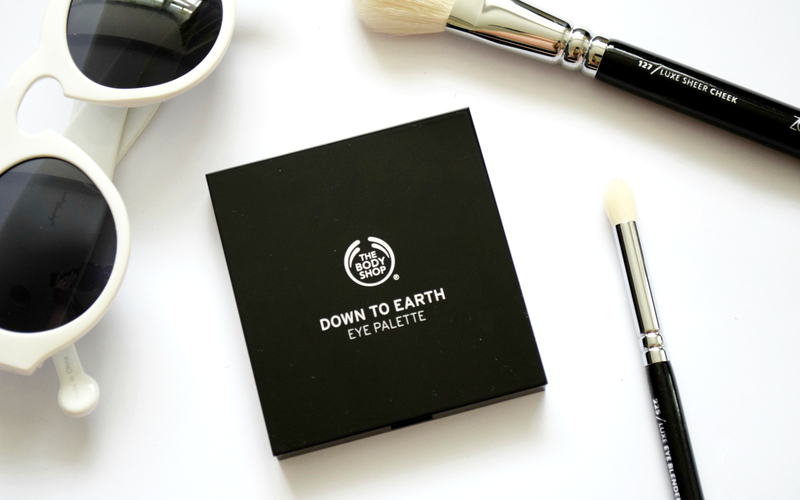 About a month ago, they came out with their new Down to Earth range, which includes one bigger eyeshadow palette with eight different shades (22 GBP) and five quads (15 GBP), one of them being ‘Smoky Grey‘, which I’ve been trying out during the past few weeks. Firstly, I have to give them 10 out of 10 for the packaging. It’s sleek, sturdy, easy to clean, and the palette come with a handy and rather big built-in mirror as well. You get 2.2 g of product in each pan, and guess what? Every pan is removable with a very fuss-free click-out-click-in system, so you can easily switch the shades between the palettes if you wish so. I’m keeping my fingers crossed for the launch of compatible individual shades! 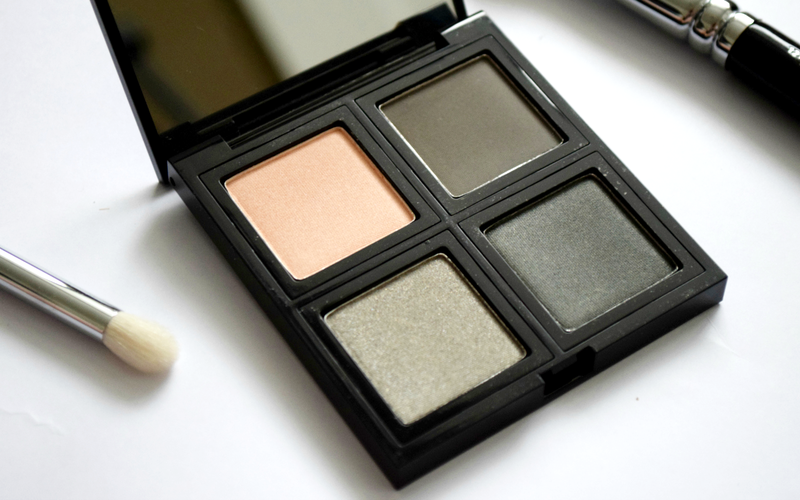 Perfect for day-to-night looks, the Smoky Grey palette has two lighter and two darker shades. India Rose Quartz is a nice metallic champagne colour, Atlas Rhassoul a dark matte grey, Cerro Rico Silver a light glittery grey and Siberia Anthracite a dark metallic grey. I almost don’t want to call the grey shades grey, though, because they look quite unique, with a brown/slightly olive undertone. The texture could be described as a mix between silky and powdery. 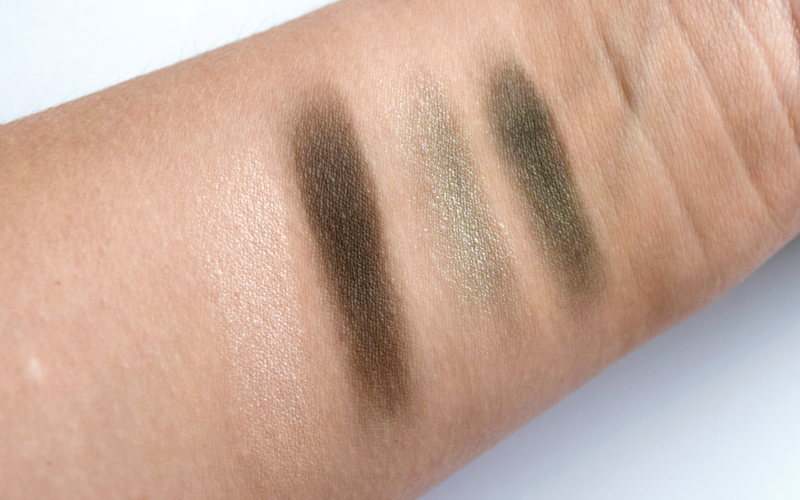 Unfortunately, I did experience fallout with some of the shades and I can’t say that the eyeshadows are insanely pigmented, but they are builadable and they blend out beautifully, which is what impressed me the most. Wearabilty is also quite nice. They don’t crease and are longlasting, however, they do begin to fade after a while. P.S. I also filmed a ‘first impressions’ review + demo for my YouTube channel, so feel free to give it a watch if you wish to see how the eyeshadows look like once applied and wear throughout the day. Yeah, I guess I can see why. It's great in some aspects but disappoints in others.